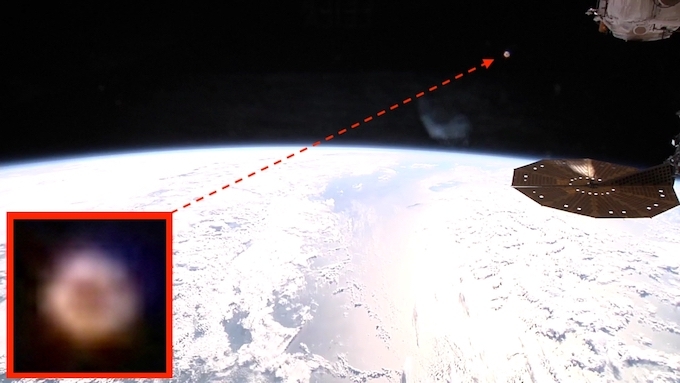 This glowing orb was caught by an eyewitness who was watching the live Internet cam of the space station. The UFO is not a perfect circle, but lumpy and uneven. The dark center could be a window or viewing area for the pilots on it. This isn’t the moon, because the moon is much larger, more clear and easy to make out. It could be a top secret military craft for the USA or Russia that comes near the orbit of the space station, but its shape is very odd, unlike most satellites. I would therefore conclude that it is very likely an alien craft investigating the space station. Previous Post:Hand Size Fossil Tooth or Claw Right In Front Of Mars Rover! Feb 13, 2019, UFO Sighting News. Next Post:Millennium Falcon UFO appeared over a home In Canada, Feb 3, 2019, Photos, UFO Sighting News.